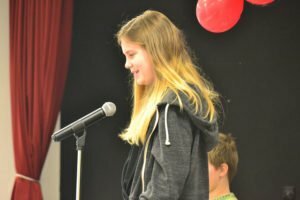 RBES spelling bee winner Shelby Jones shows her first place “C-E-R-T-I-F-I-C-A-T-E, certificate,” to the audience, Feb. 2. 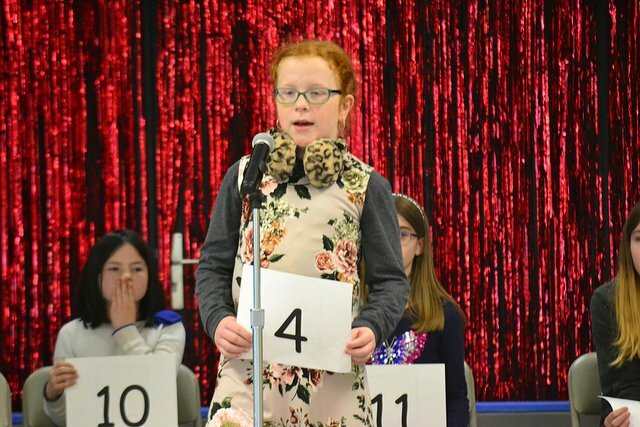 After winning the Robinson Barracks Elementary School Spelling Bee, Feb. 2, 5th grader Shelby Jones goes on to the European PTA Regional Spelling Bee at Ramstein Air Base, Feb. 23. 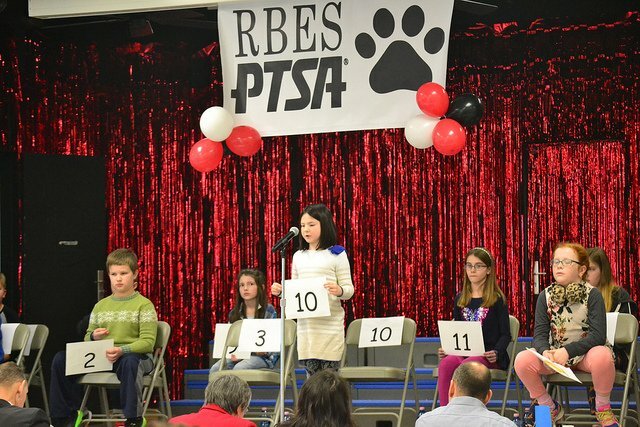 The RBES Scripps Spelling Bee is sponsored annually by the PTSA. Participants earn a spot to compete by being one of the top two spellers in their classrooms. 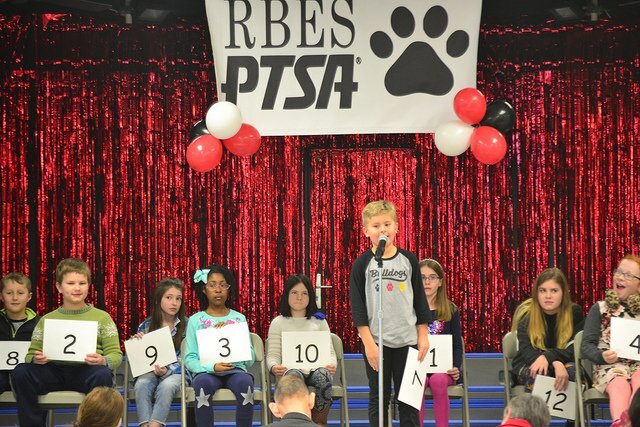 Jones, a member of RBES teacher Judi Hurston’s class, won a hard-fought competition with 13 other competitors. The spellers ranged from 3rd to 5th grades. “Acclamations. 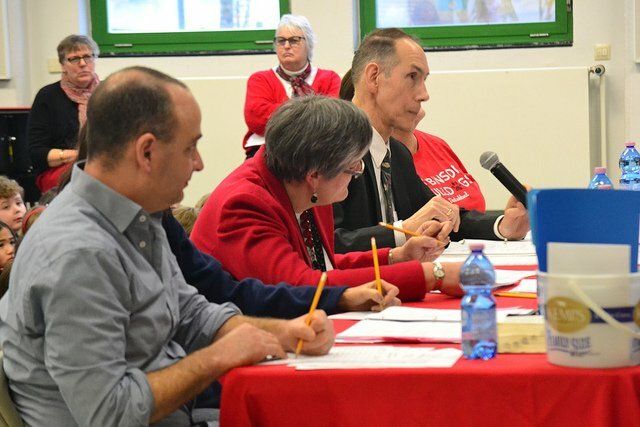 A-c-c-l-a-m-a-t-i-o-n-s, acclamations,” Jones spelled during the final round of the bee. 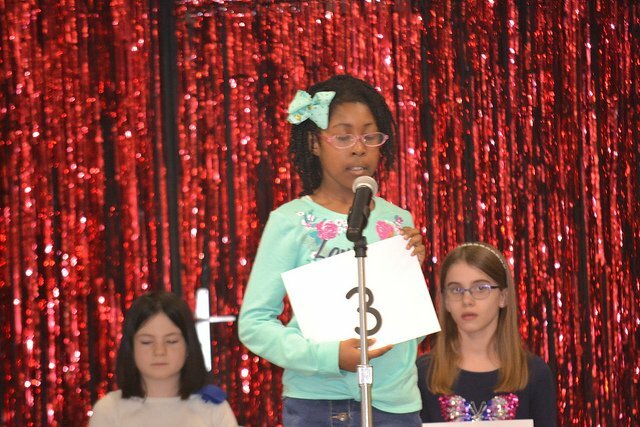 5th grader Shelby Jones spells her way to victory, Feb. 2. It was a close competition to the end with Jyllian Russell, a fellow 5th grader from Nancie Cave’s class, who finished in 2nd place. “You are correct and you are the winner of the spelling bee!” announced RBES Principal Becky Balcer. Other bee participants included Xander Borkey, Olivia Knight, Elleanor Borrell, Preston Newsome, Grayson Maille, Connor Swift, Benjamin Simmers, Morgan Wedewer, Maximillian Martin, Maurice Coln, Mackenzie Jackson and Kayla Koch. Jones will be competing against bee winners from 29 schools from across Europe. The RB PTSA generously assisted with Jones’ travel expenses to Ramstein. 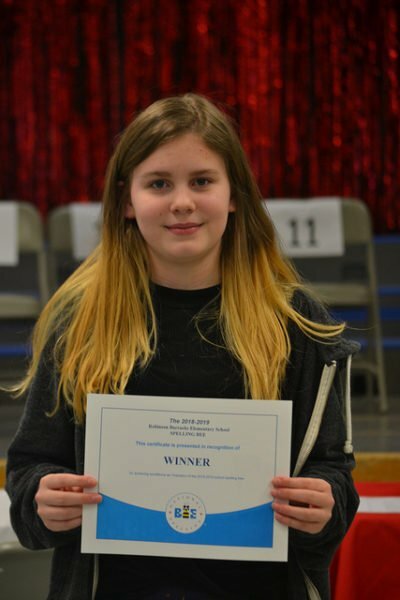 Congratulations to Shelby for the local win and best of luck as she represents the RBES Bulldogs at the European bee.